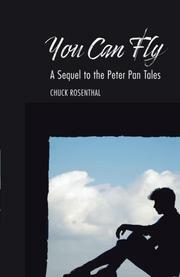 Peter Pan’s son flies off to save Never Never Land from Capt. Hook in this painfully mirthless sequel. J.M. Barrie—who wrote Peter Pan in 1904—filled his now-classic work with nuanced characters, vivid scenery, and timeless themes, which continue to fascinate generations of filmmakers, artists, and writers. Flying in Never Land requires faith as much as fairy dust, and any author seeking inclusion in Barrie’s canon should believe in the established characters enough to explore their complexities even while introducing new faces. Rosenthal’s effort, in which Peter’s 12-year-old-son, Thomas P. Pandora, assumes his father’s mantle, sacrifices character development in favor of a generic fast-paced adventure narrative laden with dreary dialogue. The result is a spiritless drama that plays fast and loose with facts established in Barrie’s version—Hook is a former “gypsy” (as though Peter Pan weren’t problematic enough), and Never Land ages children! ?—rendering beloved characters unrecognizable and new additions woefully flat. Dispatching Peter (who grows up, changes his name, marries, and becomes a California yoga instructor) from the narrative by transforming him into an overprotective grown-up incapable of comprehending his angst-ridden son is as disrespectful a bit of storytelling as it is disingenuous. Appearances by Hook, Tinkerbell, and Tiger Lily merely reinforce this story’s anemic treatment of the original’s magic formula.